From the state’s Kalia scheme, rice at Rs 1 and Biju Pucca Ghar Yojana, to the Centre’s Ujjwala scheme — all the talk this election across Balangir district in western Odisha to Puri and Paradip in the east is about schemes. It’s 7 pm, darkness has settled over Bahalpadar village. And Raju Tandi, a farmer, is a worried man. He’s not sure whether opening up about the elections would land him in trouble. “I hope it won’t affect the state government schemes that I benefit from,” he says. 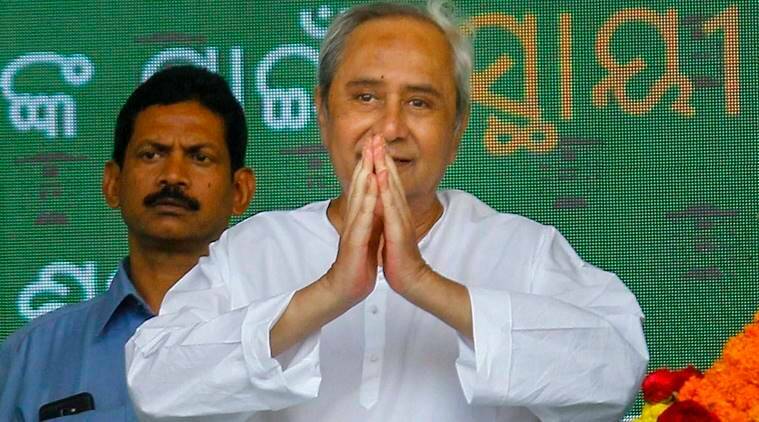 From the state’s Kalia scheme for direct transfer of cash assistance to poor and landless farmers, rice at Rs 1 and the Biju Pucca Ghar Yojana, to the Centre’s Ujjwala scheme for subsidised LPG cylinders — all the talk this election across Balangir district in western Odisha to Puri and Paradip in the east is about schemes. About who has benefitted, and who has not. In Balangir’s Bahalpadar, Tandi and his neighbours are yet to get money under Kalia, the newest and most ambitious scheme that was rolled out by BJD president and Chief Minister Naveen Patnaik before the Lok Sabha and Assembly elections were announced. “If no one had got the money, it would have been fine. But we feel left out,” says Tandi. Such is the divide, that on Tuesday, two days before polls in parts of the state, Patnaik approached the state’s Chief Electoral Officer to lodge a complaint against the Election Commission’s decision to stop disbursement of funds under the Kalia scheme. “But poor people don’t understand the technicalities. They don’t understand why the government has not been able to keep its promise. They are just angry… this will affect the BJD’s chances,” says Saswant Khuntia, a betel-leaf farmer from Govindpur village on the coastal Jagatsinghpur district. Patnaik is seeking a fifth term and his party appears to be confident in rural areas. But in towns and the villages nearby, Patnaik and the BJD’s conch is engaged in a fierce fight with Prime Minister Narendra Modi and the BJP’s lotus. On one side, is the BJD’s strong network built over the years at the ground level with a slew of welfare schemes. On the other, is the BJP’s propaganda blitzkrieg that has projected Modi as an “strong and daring leader” who “gave a befitting reply to Pakistan” — but without the machinery to convert that goodwill into votes. The verdict is still an open question but on the ground, a desire for “paribartan (change)” is gaining strength, especially in areas near Puri where BJP’s national spokesperson Sambit Patra is taking on BJD’s Pinaki Mishra. “There is a Modi wind blowing here,” says Pandab Pradhan, a farmer who owns five hectares of land at Barapali in the Bargarh Lok Sabha constituency. His complaint is that Patnaik has not kept his promise of ensuring irrigation for 10,000 hectares in the region — the Gangadhar Meher project, cleared in 2017, is not yet complete. But with only around 15 per cent of farmers benefitting from the Centre’s crop insurance scheme, Pradhan’s choice is clear: Modi for Lok Sabha, BJD in Odisha. At the Haldipali tehsil nearby, Prahlad Rana sees an edge for the BJP in the Lok Sabha polls because “Modi will benefit from the Balakot strike”. However, Pradhan and Rana say the BJP “bungled” in distributing tickets. In villages across Odisha, though, Patnaik’s welfare schemes over the last 19 years continue to have a resonance, despite complaints about ill-equipped hospitals, lack of teachers in government schools and shortage of clean drinking water. But BJD leaders like Pinaki Mishra, the Puri candidate, argue that the vote will be on “local flavour”. The BJD also continues to draw support from women voters — Odisha has around 6 lakh women self help groups for whom the state announced Rs 3 lakh interest-free loans this year. However, in districts adjacent to Chhattisgarh, the Congress has some leverage, especially after coming to power in the neighbouring state. “After farmers in Chhattisgarh got loan waivers and bonus on paddy prices, farmers in Bargarh, the rice bowl of Odisha, have also started asking why can’t they get it,” says Lingaraj, a farmer activist. Even the Centre’s Ujjwala scheme — the state has more than 40 lakh beneficiaries — has not really taken off. According to Subendu Kumar Sahu, a distributor, only 10 per cent of Ujjwala beneficiaries return for refilling in his shop in Kendrapara’s Ansarpur. 1 Amit Shah on Rahul’s Wayanad show: Is it in India or Pakistan?